We both applied for Italian citizenship through jure sanguinis. We're close, but not quite there. Last month, we sent in a few missing pieces of information. At this time, our applications are being processed. That’s all we know. Our initial appointments to review our applications and associated paperwork for Italian citizenship took place two months ago. We had each requested our consulate appointments via email. Submitted within minutes of another, the earliest dates they had available were over a year and a half later and exactly a week apart. Does the consulate process only one application per week? Not all consulates have the same lead time or appointment scheduling. Here’s a list of Italian consulates in the U.S. You must work with the one that serves the area you live in. We opted for “mail-in review” since we don’t live near the consulate office in San Francisco which serves the Northwest. 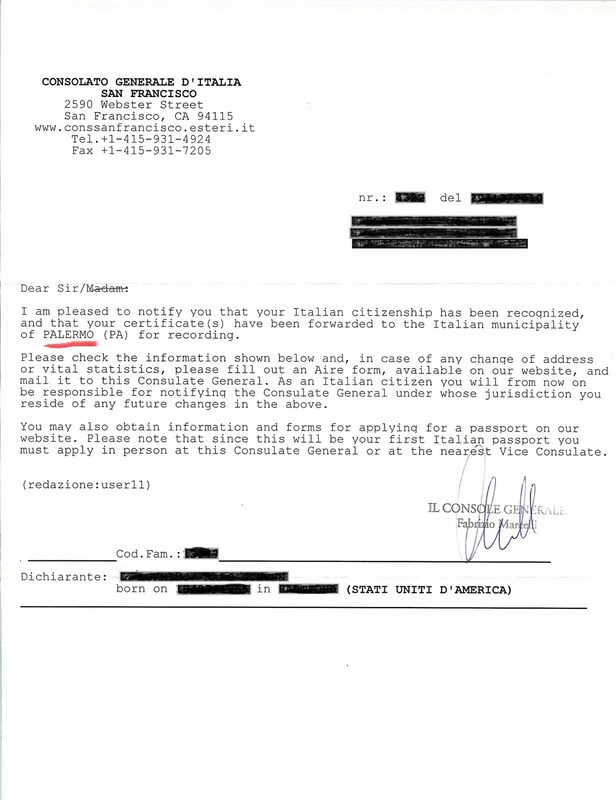 The idea of dual Italian citizenship came to us in 2007 as we were planning our sabbatical to Italy. Part of the sabbatical then became a quest to gather the necessary paperwork – and there is no shortage of that. For our 2007 trip we decided that Visas were the best strategy and so we got them for that trip. If your family members live in the same consular jurisdiction as you, and are interested in citizenship, then seriously consider combining efforts and doing the citizenship interview together. For example, if your sister or brother wants to apply for citizenship, the only difference between your paperwork and theirs may be an additional birth certificate. Again, check with the consulate that serves your area. 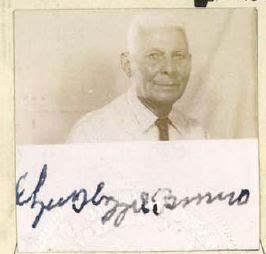 Your paternal or maternal grandfather was born in the United States, your paternal or maternal great grandfather was born in Italy and was an Italian citizen at the time of your paternal or maternal grandfather’s birth, neither you nor your father/mother nor your grandfather/grandmother ever renounced your right to Italian citizenship. DEATH CERTIFICATE/S RELATING TO THE ITALIAN BORN ASCENDANTS ONLY. Documents 1 -3 were obtained directly from Italian sources. We actually got these documents in person (for example in Palermo and Piemonte). (It goes without saying, but you should get multiple copies of these documents.) Documents 4 – 13 are all U.S. documents. Some documents such as your birth certificate will need to have an apostille attached. An apostille is a legalization provided by the Office of the Secretary of State of the state in which the document is issued. The path to getting an apostille for any given document will depend on the state in which the document was issued. For example, to get a New York birth certificate apostilled you first have to get a letter of exemplification before the apsotille. (See this informative post.) The place you apply to get your records will be different than the place you have them apostilled so there’s lots of researching of government agencies on the Internet, calling, mailing and otherwise running around. It’s part of the experience. Either the original of your ancestor’s naturalization certificate or a certified copy of what the National Archives has on file concerning his acquiring US citizenship. They will not certify the certificate, but they will certify all the rest, including the oath, which is what we need. It will have a red ribbon on it. If you send the original, you will need to enclose a pre-paid self-addressed USPS envelope for the return of the document to you. We do not accept any other form of pre-paid mail. So we both went to the National Archives site and ordered up red ribbon copies. 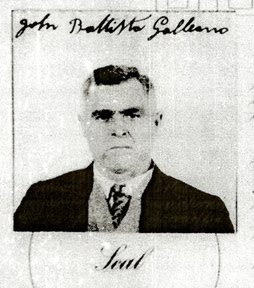 One of our great grandfathers was naturalized in a federal court (in New York) so the National Archives had all the supporting documentation including his oath of allegience. The other great grandfather was eventually naturalized in Riverside County Superior court (California) and so the National Archives red ribbon copies provided some supporting documentation (his first applications via federal courts which were denied). And Riverside County Superior court archives delivered the essential documents attesting to his naturalization there. Confusing? Kind of. You just have to go with the process and find out what works. 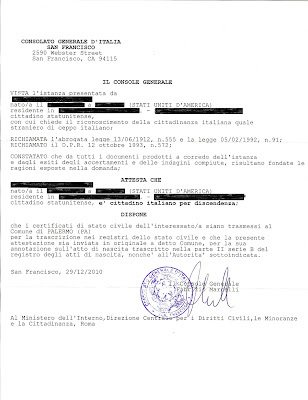 The short ½ of Travelmarx had to provide, in addition to the items above, a copy of a US passport and a statement (in email) that he was never married. It’s odd because the taller ½ of Travelmarx did not have to provide that information. The other items that the shorter ½ of Travelmarx had to provide were copies of the marriage certificate and divorce decree for a first marriage of his mother. 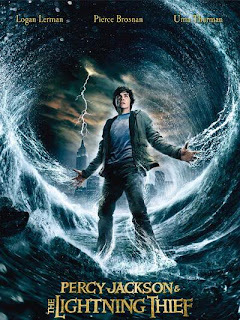 Point of the story: be prepared. The article by Michael Votto [link] ennumerates a few pros and cons of dual (Italian) citizenship. The pros: a passport from a country that is a member of the European Union (E.U.) means you live, travel, and work more freely in any E.U. country. Other possible benefits include healthcare, the ability to purchase property, and the right to pass on citizenship to heirs. The cons: tax liabilities (generally equitable, but filing will be more complex if you have foreign income), possible military responsibilities, and more trouble getting a U.S. security clearance. To tell you the truth, we don’t know which of these pros or cons will be a joy or pain because it’s still early in the process. Finally, a great resource for Italian info and citizenship is Expat Talk, and this guy has a nice and recent story about his successful dual citizenship quest. Be careful! 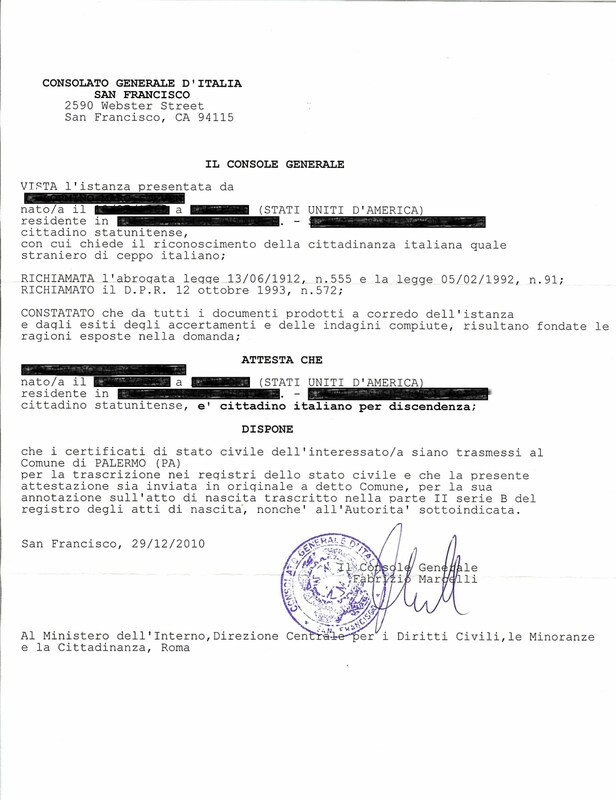 If you search for “Italian citizenship” on the Internet you’ll find lots of services offering to gather the documents for you and perhaps shepherd them through the process. We initially tried one and it was a waste of time and money. We recommend that you don’t use them. It’s better to manage the paperwork yourself. It may be challenging at times but can be made easier by getting support from the forums or folks that have already done it. We now both have our citzenships confirmed with a letter from the consulate. One notice came months ago and the other came recently. We are attaching the redacted notice (2 pages) below to show what it looks like. Here's post on getting passports. If I hear that song about the iPod stuck on replay (Iyaz?) I’m gonna shove that iPod where the sun don’t shine. Ok, calm down. 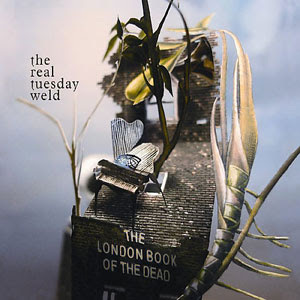 I’m not going to change listening habits appreciably or even one iota, but I would like to submit anyways that *any* song on The Real Tuesday Weld album The London Book of the Dead beats that song hands down. This is the same artist that I raved about in a previous post. I’m still obsessed with that album but decided to broaden my horizons a bit and try another release. First, is that not a great title? From the reviews I read, the title references the Tibetan Book of the Dead in that the music is a passage from one existence to another. Second, Weld’s sonic palette of clarinet, guitar, violins, oboe, spoken word, electronic rhythms, and simple but clever lyrics is perfect. Their style has been dubbed "antique beat". Throw in some great collaborators (like the Puppini Sisters) and what’s not to like. Here are a few videos: the toe-tapping Cloud Cuckooland, Apart, and Last Words, and the Cole Porter-ish Kix. Every politician promises change but it never seems to arrive. Well, there is change you can believe in: the change brought about by the process of natural selection, the key mechanism of evolution. The image is courtesy of Mike Rosulek. His take on the iconographic Obama poster has several versions all around the theme of evolution. Profits from use of the images benefit the National Center for Science Education (NSCE) - a great organization whose mission is to keep evolution a part of science education. 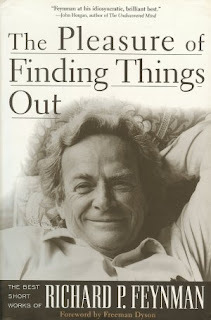 The Pleasure of Finding Things Out: The Best Short Works of Richard P. Feynman is a collection of essays, interviews, and transcribed speeches from the well-known scientist, popularizer of physics, and polymath Richard Feynman (1918-1988). Feynman won the Nobel Prize in Physics in 1965 (jointly with two other scientists) for his work in quantum physics, but his list of accomplishments doesn’t stop there. He also worked on the development of the atomic bomb. He helped usher in the field of nanotechnology with a seminal 1959 lecture There’s Plenty of Room at the Bottom (included in this collection). He was also an accomplished juggler, safecracker, and bongo player to just list a few of his diverse interests. Sadly, this point of view finds so little traction these days. To doubt is to be weak. To be certain – even with provably wrong ideas – is strength. The part of the collection that dragged the most for me was the Minority Report to the Space Shuttle Challenger Inquiry. An important piece of work in the history of science and spaceflight for sure, I just couldn’t grasp it that easily. One could easy skip this piece and not miss the spirit of the collection in my opinion. The rest of the collection reads fairly easily and enjoyably. I hadn’t read much before from or about Feynman. I had watched a couple of lectures (the Messenger Series courtesy of Microsoft Research and Project Tuva) and had Feynman’s voice and mannerisms in my mind as I read which I think helped. I just tasted the “easter” bar from Theo: Toasted Coconut. It's excellent. If, like me, before you were chocolate-enlightened, you did enjoy Mounds, then this new Theo bar is for you. It’s less cloying because the percentage of chocolate is greater, 70%, and it’s toasted coconut. I haven’t put an easter basket out for 25 or so years, but this year, I’m going to get a basket with some of that fake, plastic grass inside and hope for the best. We never had been up to the Chinese Room on the 35th floor of the Smith Tower, so it was time. It’s a nice view I’ll give it that, especially on a clear day when you can see the Olympics and Rainier. But, be prepared, once up there you realize how many hard expanses of cement and buildings are all around. What did I expect, it is a city after all? To the east is I-5, to the west Route 99 and the water. To the north, the rest of the city, and to the south Seattle's industrial section. The Smith Tower was built by the Smith family that made their name in the manufacture of small arms (much like Remington & Sons) and went on to produce the Smith Corona typewriter. In 1909, Lyman Cornelius (L.C.) Smith, a New York tycoon, for some reason (expansion of his company?) planned for 14-story building to be built in Seattle. 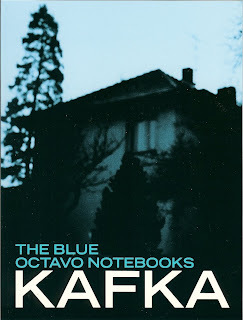 Eventually, with the urging of his son, the plans morphed into the present day structure. When the Smith Tower opened on July 4, 1914 it was the fourth tallest building in the world at 522 feet and remained in this position for 50 years. Of particular interest is the Chinese Room located on the 35th floor. The interior of the room was a gift to L.C. Smith from Empress Cixi, the last Empress of China. The gift was in response to a gift of L.C. Smith rifles and Smith-Corona typewriters that Smith brought with him on a trade mission to China. The Chinese Room can be rented for your special occasion. View from Smith Tower looking Northwest toward the Harbor. View of Smith Tower from the South, on the Ground.